So I missed the @beerclubbelfast beer dinner on Wednesday and the @lighthousewines beer tasting on Thursday. Judging by Twitter both events seem to have gone well; it would be great if someone could comment or blog about either event to let me know what I missed! I hope to be able to go to both next time around. Description: Poured a colour I could only describe as “Maine Man” brown lemonade (that’ll confuse anyone reading this outside these shores!). There was no head at all, not even a fleeting one, though there was lots of obvious carbonisation. Big dark fruit aroma (plums, figs, etc. ), along with sweetness and something vaguely lactic and diacetyl in the background. Flavour starts off with those dark fruits again; then it’s nutty, spicy and slightly malty with a whack of rum; and finally there's some toffee and caramel malt. The taste follows a sweet-bitter-sweet profile, with a vague hint of sourness at the very end. 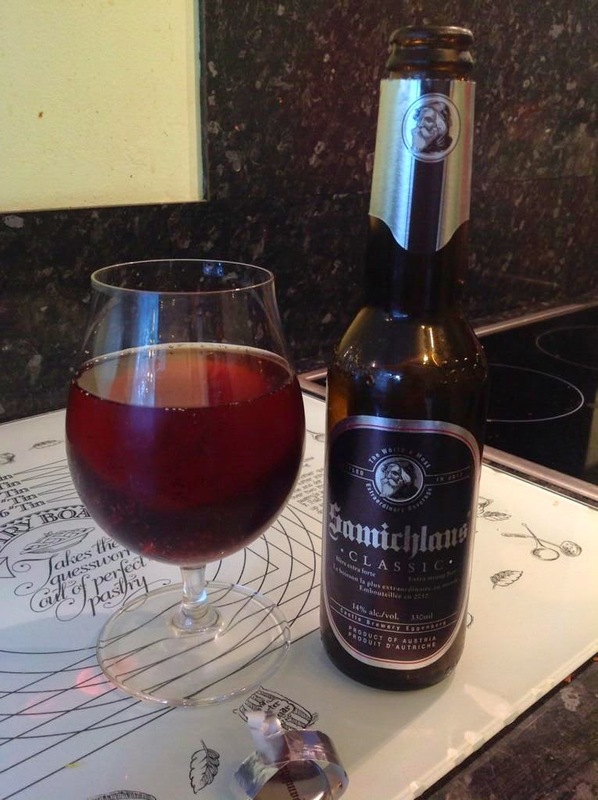 This is sticky and leaves a decent coating in the mouth – but remains fairly light with it despite the ABV. Thoughts: Lovely stuff, I could see this going down a belter on an autumnal night. High alcohol, and plenty of booze in the taste, yet it’s still deceptively strong so one to watch out for. Certainly worth trying. 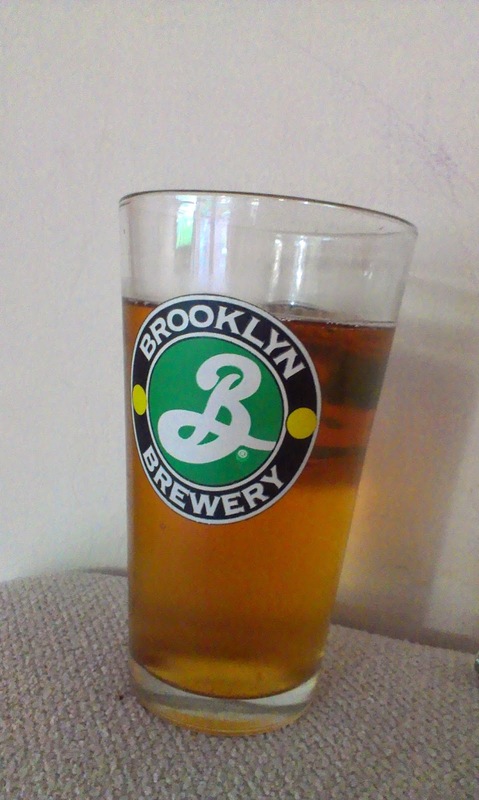 Description: Poured a very light amber, perfectly clear with a small white head. I didn’t get much on the aroma at all but that might have been hayfever related. There’s plenty of flavour though – this packs a fruit punch, pineapple, mango, some grapefruit. There’s also some pale malt and a light graininess. Pretty light bodied and easy drinking. Thoughts: Another good beer, and this one’s more of a summer drinker. A lot of “traditional” English IPAs tend to be on the malty and bitter side – this one went all out on tropical fruit and was not harmed by it at all. Would buy again if easier to get hold of. Description: Poured a cloudy mango colour with a big white wheat-beer head. Aroma of wheat but a hint of pithy orange and pineapple is there too – not much of the banana/clove esters wheat beers can do but there’s a little in the background. Taste again starts off with the wheat but quickly gives way to hoppy fruit – orange, maybe some mango. Creamy and quite full mouth feel. Hides the ABV very too well. Thoughts: I have had this before a few times but didn't realise it was in the book. 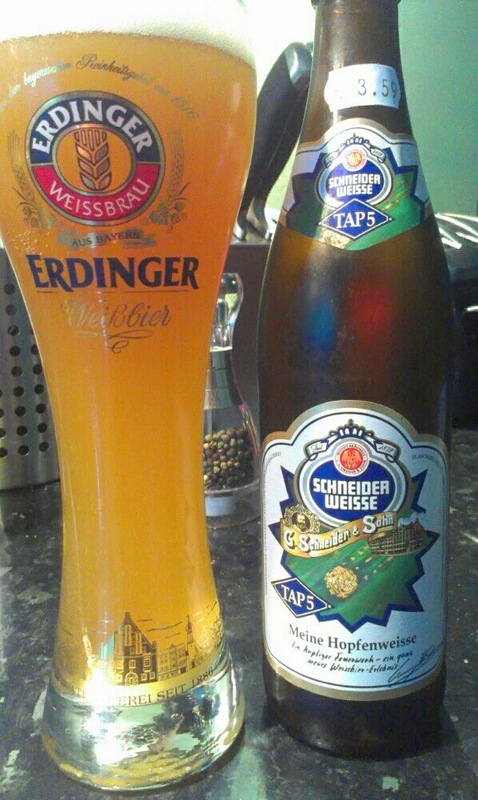 This is probably my favourite Schneider beer; it has a lovely wheat beer quality that’s really enhanced by the hoppy fruit. The Aventinus (though very different) is also a great beer but this wins for me on being more quaffable – but at 8.2% don’t quaff many! Three crackers there - you shouldn't be disappointed by any of them. Right football and BBQs are calling.